Our inflatable foam pit comes complete with our truss mounted high output foam cannon for the best foam parties in Colorado. 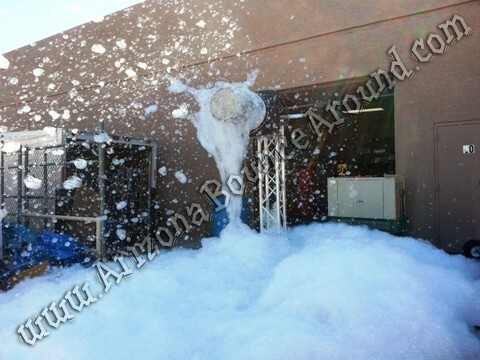 Our foam cannon will blast foam in the air and fill up the inflatable foam pit very fast. Dont waste your money on a cheap foam party when you can have a foam cannon shooting foam everywhere. We even offer foam glow parties by adding black lights to your order.